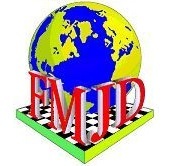 General Assembly FMJD will held in Izmir, Turkey, on October 11, 2015. FMJD Board represent a new FMJD Statutes for approval of General Assembly. New FMJD Statutes (The new version of the unaccepted Statute 2012) artificially establishes the dominant position of draughts 100 and discrimination of all other kinds of draughts.